Dr Kitta’s research draws on ethnography, media, Internet, and narrative analyses to explore why parents decide not to vaccinate. Recent research and media coverage also shows that parents are increasingly choosing to not vaccinate their children. Factors a lack of understanding of how the vaccine works, religious or philosophical objections, fear of government control in areas of personal choice, concern about safety and/or efficacy, beliefs that vaccine-preventable diseases do not pose a serious health risk, certainty that alternative treatments are superior, concerns that vaccines are promoted for the sake of financial gain, and belief that vaccines are not “natural”. Dr Kitta’s research draws on ethnography, media, Internet, and narrative analyses to explore the vernacular explanatory models used in inoculation decision-making. Many of the studies mentioned above touch on reasons why parents decide not to vaccinate. In order to even begin to understand this language, ethnographic research skills are necessary as vaccination narratives are presented and communicated in a variety of ways through the use of traditional narratives and beliefs. The most common genres used in vaccination discourse are contemporary legends, rumour, and personal experience narratives, or in some cases, a combination of the three. 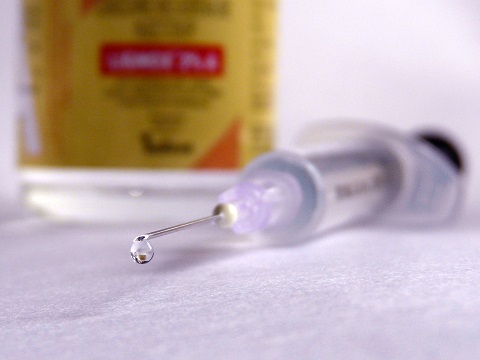 This presentation explores vernacular beliefs and practices that surround decisions to not vaccinate with the primary aim of providing concrete recommendations for improving inoculation promotion programs. Understanding health choices is dependent on exploring the variety of cultural concerns and influences that constitute risk for the communities and individuals in question. Risk categories and risk perception are multifaceted, culture-bound, personal, and political. Andrea Kitta is a folklorist with a specialty in medicine, belief, and the supernatural. She is also interested in Internet folklore, narrative, and contemporary (urban) legend. Her current research includes: vaccines, pandemic illness, contagion and contamination, stigmatized diseases, disability, health information on the Internet and Slender Man. She is co-editor for the journal Contemporary Legend, a scholarly journal published annually by the International Society for Contemporary Legend Research.